Just a few days ago, we had the farewell party for my circle, WIF (Waseda International Festival), something that had taken up more than half of my university life in Waseda. I joined this circle when I first entered Waseda University. 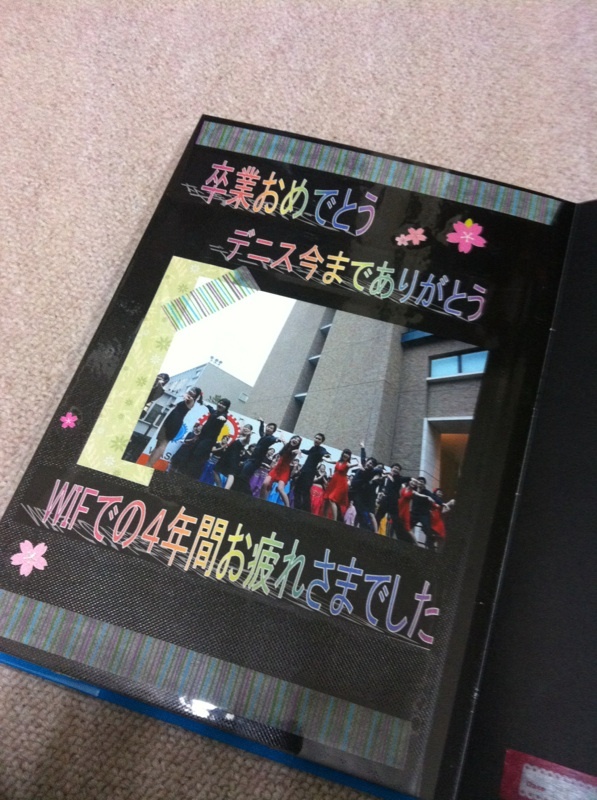 Every year, I bade farewell to people graduating, returning to their countries, or going for study abroad exchange. I never knew my turn would come so quickly. I was a little unprepared… I wanted to stay a little longer. I received a gift from my friends in WIF, and this was probably the best gift, without any hint of exaggeration, I have ever received in my life. It symbolizes the friendship forged, the memories I have had, and more. To me, WIF had played a huge role in my university life, and also in my life in general. It is not just about making friends from different countries or learning dances. It was where I learnt and grew, it was where I belonged, and where I had made some of the best memories in my life. As I read the messages written by my friends on the card, I could not help but break into a smile. I am commonly known as the guy who speaks many languages, and when I saw that the messages were written in 6 languages in total, I was touched; I knew my friends understood me all the best. 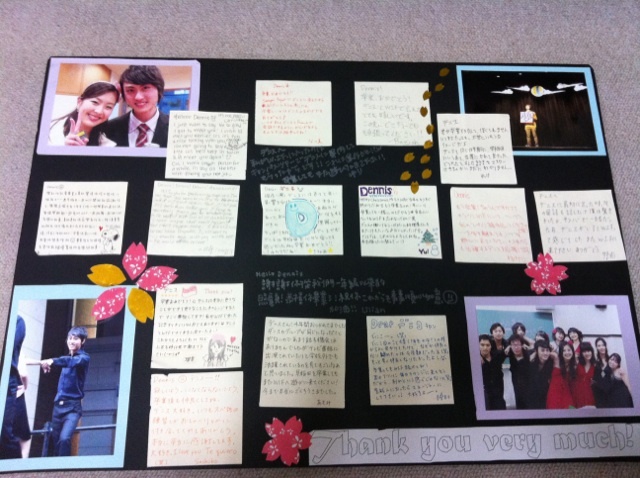 今までのWIFの写真を少し集めてみた。And I tried gathering some of the photo memories I had with WIF till now. 2008年6月。一番最初にWIFに参加したとき。シンガポールブース。 This was in June 2008 when I first joined WIF. I was in charge of the Singapore booth. 2008年11月早稲田祭のソーラン節. 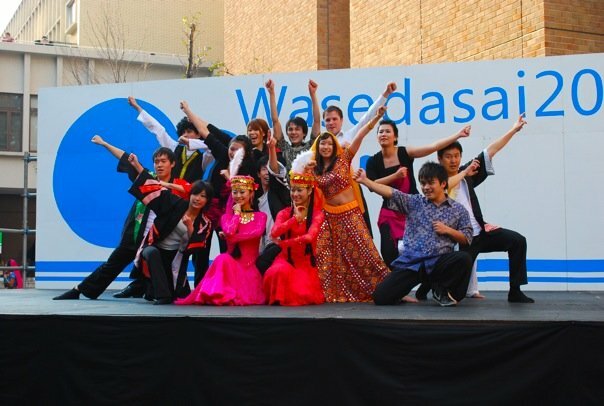 Waseda Festival in November 2008. Soran-bushi. 2009年6月のウズベクダンス. Uzbek Dance, June 2009. 2009年早稲田祭のインディアンダンス. 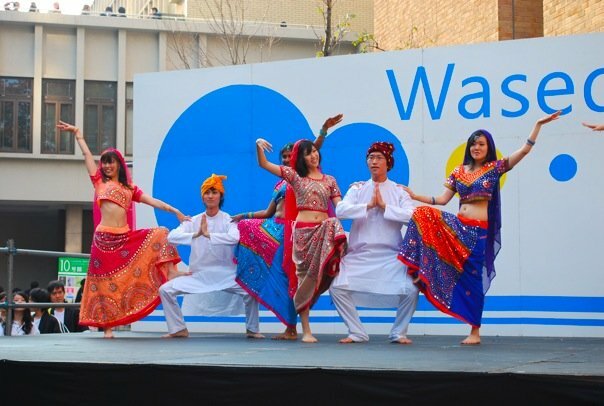 Indian dance, Waseda festival 2009. 2009年早稲田祭のウズベクダンス. 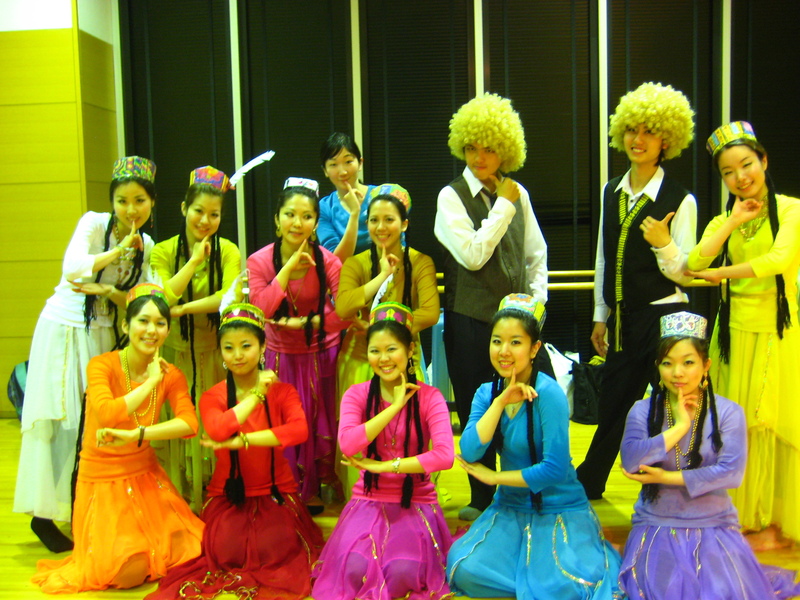 Uzbek Dance, Waseda Festival 2009. 2009年早稲田祭のときからパフォーマンスチームリーダーをやらせていただいた. I was the Performance Team Leader in 2009/ 2010. 2010年6月の台湾ダンス. Taiwanese Dance, June 2010. 2010年6月のウズベクダンス. Uzbek Dance, June 2010. 2010年早稲田祭のコリアンダンス. Korean Dance, Waseda festival 2010. 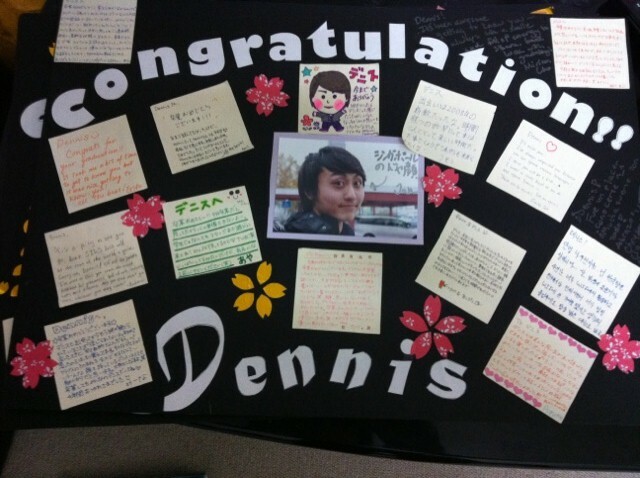 2011年6月公演に劇の主人公をやらせていただいた。I played the role of the main character in the drama in June 2011. 2011年早稲田祭のコリアンダンス. 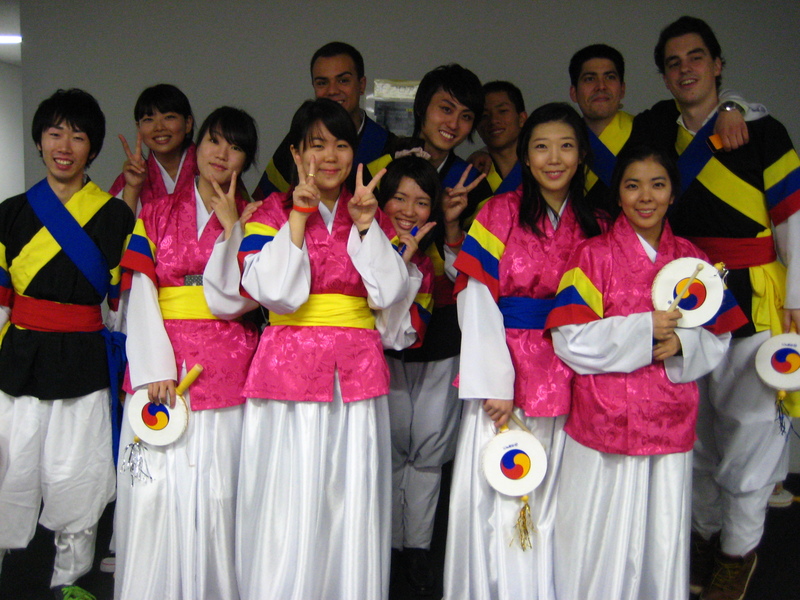 Korean dance, Waseda festival 2011. 2011年早稲田祭のサンバダンス. Samba Dance, Waseda Festival 2011. It really brings back good memories. It reminds me of what I was in the past, and how I became I am now. I know I will always be a part of WIF. I will still be around, guys, but thanks for everything till now.